Virgin Media has boosted its HD channel offering, with the two Sky Arts channels making their high definition debut on 26 April on the cable service. 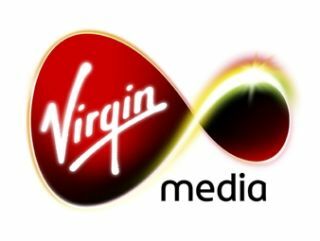 Virgin Media's channel line-up now includes 19 HD channels available at no extra cost and a grand total of 31 high def channels, with the addition of Sky 1 Arts HD and Sky Arts 2 HD. Cindy Rose, executive director of digital entertainment at Virgin Media said: "All of our XL TV customers, including those enjoying our new TV service powered by TiVo, will be able to watch these great Sky channels in stunning HD. "Virgin Media's TV service provides unbeatable value and, now with 19 HD channels for no additional monthly fee, we're going from strength to strength. "We'll continue to develop our next generation digital entertainment platform, with more HD channels and On Demand content to be announced throughout the year." "We're pleased to be joining the Virgin Media platform in HD, to bring the arts to a new audience", adds John Cassy, director of Sky Arts. Sky is currently leading the way with more than 50 HD channels, with Virgin Media a clear second in the market well ahead of Freesat and Freeview HD which each offer just a handful of HD channels.